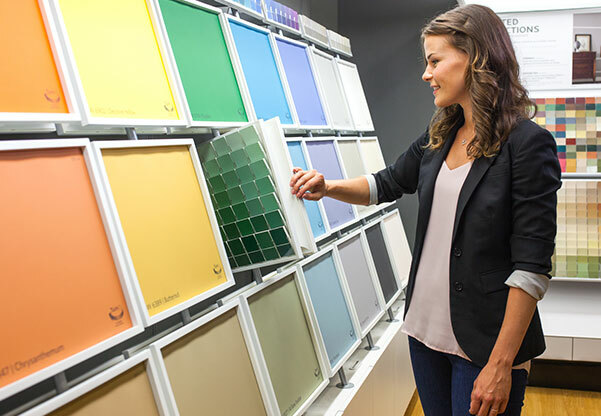 Welcome to Sherwin-Williams ColorSnap®, our most comprehensive and integrated color selection system ever offered. 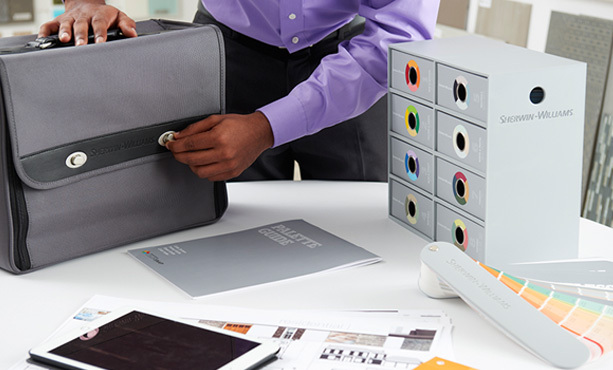 Through our research of how design professionals and consumers experience color, we've designed ColorSnap® to work how you work: in-office, on-site, online, or in-store. Find the right color quickly and easily. 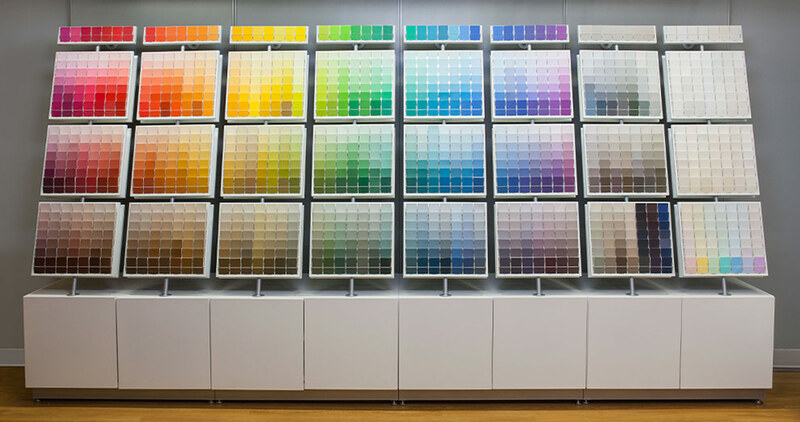 More than 1,500 hues are regrouped by color family and nearly 200 new hues round out this palette. 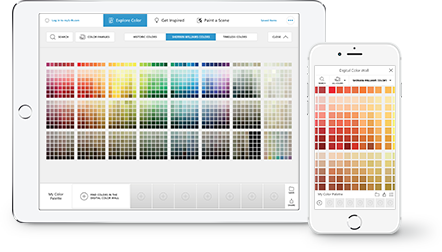 Color tools re-imagined to work seamlessly together to streamline color selection and specification, boosting your productivity and your clients' color confidence. 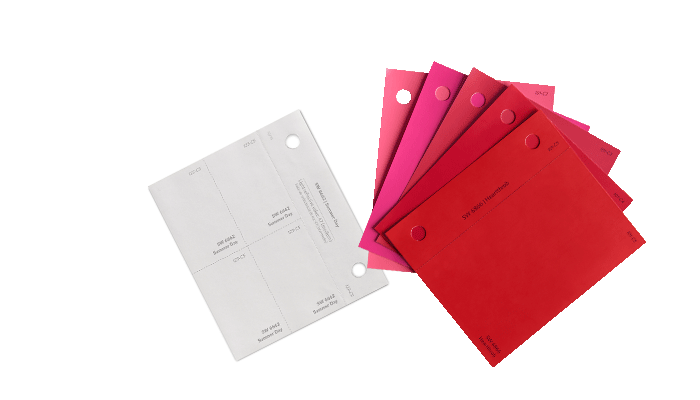 Design professionals can order color samples in 4”x4” or 8”x11” sizes at myS-W.com. New color samples have multiple cut lines on the back with color descriptions for easy use and identification in design projects. Order by color number or locator number. Enhance color inspiration and streamline your color specification journey with ColorSnap® digital selection tools. It is simpler than ever to save and share colors and help instill color confidence in your clients. 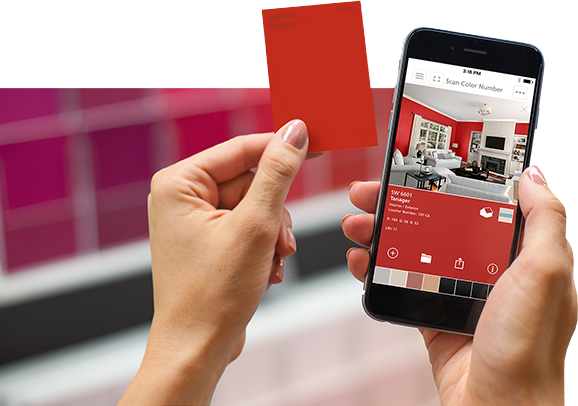 Scan a color chip with ColorSnap® on your smart phone for instant access to room scenes, coordinating colors and more. 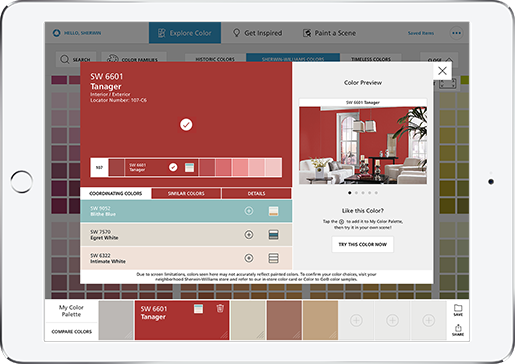 Sherwin-Williams has a new tool to streamline paint color selection! 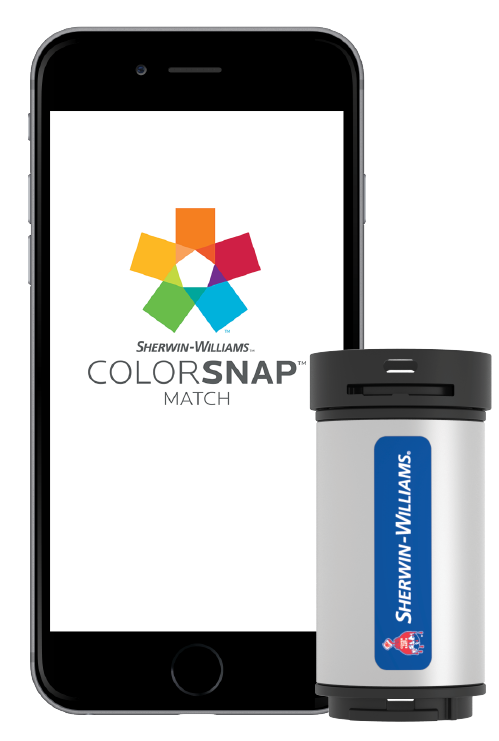 Pick up a ColorSnap™ Match device at your neighborhood Sherwin-Williams store and download the app. 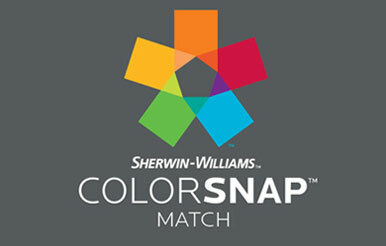 Introducing the Sherwin-Williams ColorSnap™ Match paint color matching device. ColorSnap Match is a low-cost mobile color scanning system. This easy-to-use device works with your smartphone! 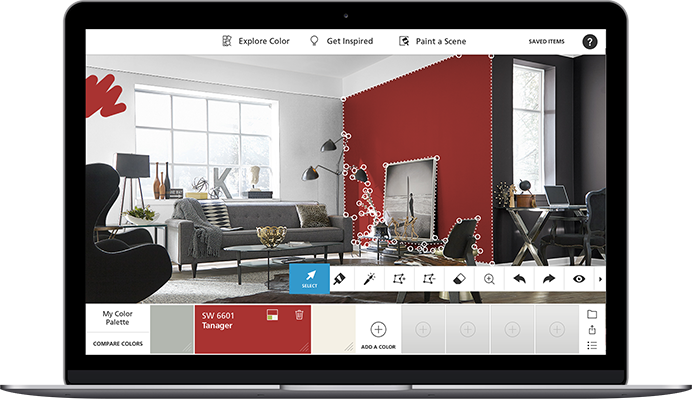 Now you can scan a color on any product or surface and match it to the closest Sherwin-Williams paint color.